Vikram says all the action sequences in '10 Endrathukulla' have been performed with logic, safety and sanity. Vikram plays a car driver in his upcoming Tamil actioner ’10 Endrathukulla’. Southern star Vikram plays a car driver in his upcoming Tamil actioner ’10 Endrathukulla’, and he says all the action sequences in the film have been performed with logic, safety and sanity. “All the dangerous stunts were done within the realm of logic and sanity. Cinema, in my opinion, is made on the concept of make-believe, so it’s important to keep everything as safe as possible,” Vikram told IANS. Directed by S.S. Vijay Milton, the film is jointly produced by A.R. Murugadoss and Fox Star Studios. Vikram worked on the film with a lot of positivity. “Right from the moment I signed the project, there was something very positive about it. Throughout the course of the film’s shoot and even now in the post-production, I can still feel the positive vibes. I hope audiences will feel it too,” he said. For Vikram, working on the project benefited him in many ways. “It was an enriching experience. This film gave me an opportunity to make these small changes in me that helped the overall output,” he revealed. 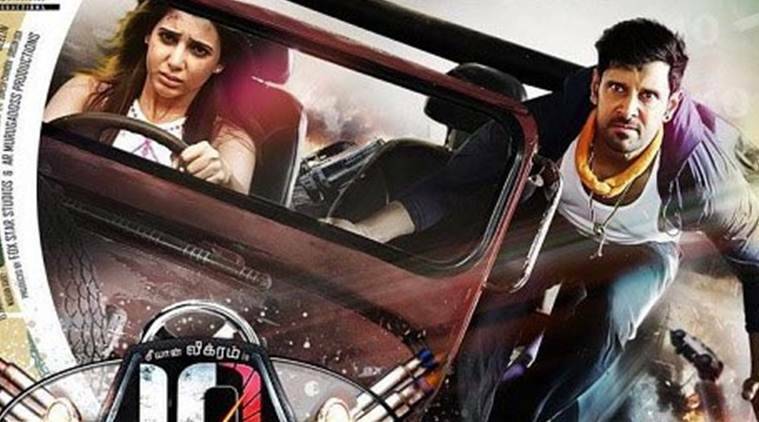 Also starring Samantha Ruth Prabhu and Pasupathy in important roles, ’10 Endrathukulla’ releases worldwide on October 21. Vikram describes his co-star Samantha as a “dangerously brilliant person on and off-screen”. “She’s a very talented actress. She plays this very interesting role and although I can’t reveal much about it, I’m sure audiences are going to love her in the film,” he said. Shot on a vast landscape, the story travels from Chennai to Uttarakhand. “You could call it a road film but it also features a fresh romantic track. Samantha and I fall in love but we don’t express our feelings. There are no duets. It’s a journey of two extremely opposite strangers,” he added.